Antigen Structure affects cellular routing through DC-SIGN. Chemoselective, Postpolymerization Modification of Bioactive Degradable Polymers. Polymers at the Interface with Biology. Imaging mycobacterial growth and division with a fluorogenic probe. Winton VJ, Justen AM, Deng H, Kiessling LL. Conformational Control of UDP-Galactopyranose Mutase Inhibition. Wangkanont K, Winton VJ, Forest KT, Kiessling LL. Fidelity and Promiscuity of Mycobacterial Glycosylltransferase. Yamatsugu K, Splain RA, Kiessling LL. 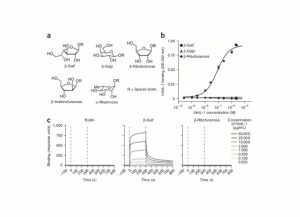 Comparing Galactan Biosynthesis in Mycobacterium tuberculosis and Corynebacterium diphtheriae. Wesener DA, Levengood MR, Kiessling LL. 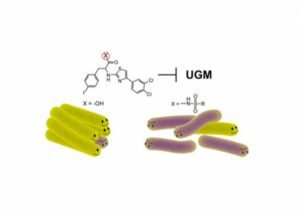 Carboxylate Surrogates Enhance the Antimycobacterial Activity of UDP- Galactopyranose Mutase Probes. Winton VJ, Aldrich C, Kiessling LL. 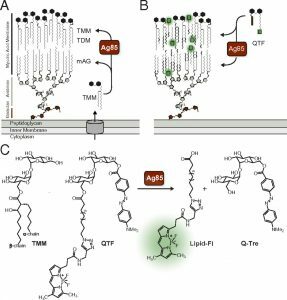 Structures of Xenopus Embryonic Epidermal Lectin Reveal a Conserved Mechanism of Microbial Glycan Recognition. Wangkanont K, Wesenser DA, Vidani JA, Kiessling LL, Forest KT. Wesener DA, Wangkanont K, McBride R, Song X, Kraft MB, Hodges HL, Zarling LC, Splain RA, Smith DF, Cummings RD, Paulson JC, Forest KT, Kiessling LL. 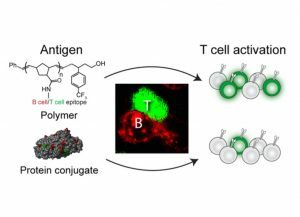 Multivalent Antigens for Promoting B and T Cell Activation. Bennett NR, Zwick DB, Courtney AH, Kiessling LL. 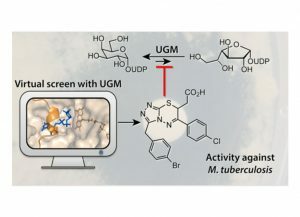 Virtual Screening for UDP-Galactopyranose Mutase Ligands Identifies a New Class of Antimycobacterial Agents. Kincaid VA, London N, Wangkanont K, Wesener DA, Marcus SA, Héroux A, Nedyalkova L, Talaat AM, Forest KT, Shoichet BK, Kiessling LL. The non-detergent sulfobetaine-201 acts as a pharmacological chaperone to promote folding and crystallization of the type II TGF-β receptor extracellular domain. Wangkanont K, Forest KT, Kiessling LL. Forces of Change:Mechanics Underlying Formation of Functional 3D Organ Buds. Cell Stem Cell. Signals from the surface modulate differentiation of human pluripotent stem cells through glycosaminoglycans and integrins. Wrighton PJ, Klim JR, Hernandez BA, Koonce CH, Kamp TJ, Kiessling LL. 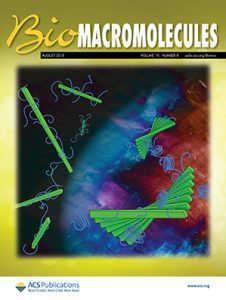 Guo LT, Wang YS, Nakamura A, Eiler D, Kavran JM, Wong M, Kiessling LL, Steitz TA, O’Donoghue P, Söll D.
Rhamnose glycoconjugates for the recruitment of endogenous anti-carbohydrate antibodies to tumor cells. Sheridan RT, Hudon J, Hank JA, Sondel PM, Kiessling LL. Isoprenoid phosphonophosphates as glycosyltransferase acceptor substrates. Martinez Farias MA, Kincaid VA, Annamalai VR, Kiessling LL. New insights into bacterial chemoreceptor array structure and assembly from electron cryotomography. Briegel A, Wong ML, Hodges HL, Oikonomou CM, Piasta KN, Harris MJ, Fowler DJ, Thompson LK, Falke JJ, Kiessling LL, Jensen GJ. Synthetic antigens reveal dynamics of BCR endocytosis during inhibitory signaling. Courtney AH, Bennett NR, Zwick DB, Hudon J, Kiessling LL. Kiessling LL, Kraft MB. Chemistry. Wesener DA, May JF, Huffman EM, Kiessling LL. Kraft MB, Martinez Farias MA, Kiessling LL. Non-Carbohydrate Glycomimetics and Glycoprotein Surrogates as DC-SIGN Antagonists and Agonists. Prost LR, Grim JS, Tonelli M, Kiessling LL. Fluorosugar chain termination agents as probes of the sequence specificity of a carbohydrate polymerase. Brown CD, Rusek MS, Kiessling LL. Quinoxalinone Inhibitors of the Lectin DC-SIGN. Mangold SL, Prost LR, Kiessling LL. An Asymmetric Synthesis of l-Pyrrolysine. Wong ML, Guzei IA, Kiessling LL. A processive carbohydrate polymerase that mediates bifunctional catalysis using a single active site. May JF, Levengood MR, Splain RA, Brown CD, Kiessling LL. Small-Molecule-Modified Surfaces Engage Cells through the α(v)β(3) Integrin. Klim JR, Fowler AJ, Courtney AH, Wrighton PJ, Sheridan RT, Wong ML, Kiessling LL. Monitoring Processivity and Length Control of a Carbohydrate Polymerase. Levengood MR, Splain RA, Kiessling LL. Spatial control of cell fate using synthetic surfaces to potentiate TGF-B signaling. Glycomimetic Building Blocks: A Divergent Synthesis of Epimers of Shikimic Acid. Protein Footprinting in a Comples Milieu: Identifying the Interaction Surfaces of the Chemotaxis Adaptor Protein CheW. Classifying chemoreceptors: quantity versus quality. Peptide ligands that use a novel site to target both TGF-beta receptors. A general glycomimetic strategy yields non-carbohydrate inhibitors of DC-SIGN. 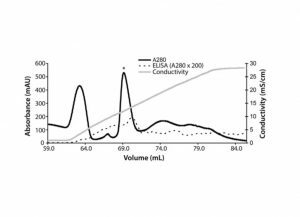 Unexpected enhancement in biological activity of a GPCR ligand induced by a n oligoethylene glycol substitute. Synthesis of galactofuranose-based acceptor substrates for the study of the carbohydrate polymerase GlfT2. 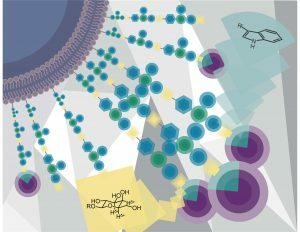 Decoding signals with chemical biology. Flow cytometry reveals that multivalent chemoattractants effect swarmer cell dedifferentiation. A tethering mechanism for length control in a processive carbohydrate polymerization. 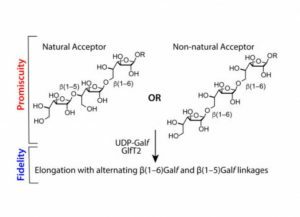 Ligand binding and substrate discrimination by UDP-Galactopyranose mutase. 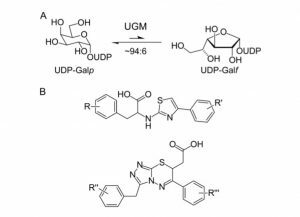 Potent ligands for prokaryotic UDP-galactopyranose mutase that exploit an enzyme subsite. Sialylated multivalent antigens engage CD22 in trans and inhibit B cell activation. 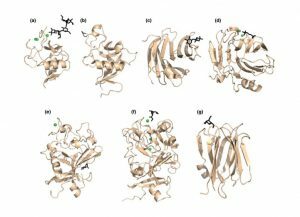 Structure-based design of a periplasmic binding protein antagonist that prevents domain closure. 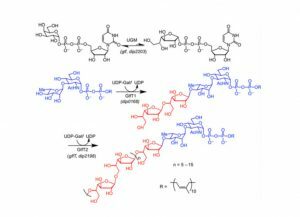 ROMP from ROMP: A new approach to graft copolymer synthesis. Isotope-coded affinity tags with tunable reactivities for protein footprinting. 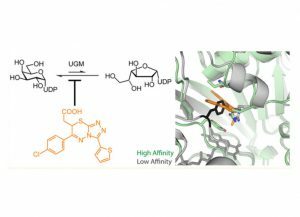 Inhibitors of UDP-galactopyranose mutase thwart mycobacterial growth. Non-carbohydrate inhibitors of the lectin DC-SIGN. Solid-phase synthesis of alkanethiols for the preparation of self-assembled monolayers. Site-directed mutagenesis of UDP-galactopyranose mutase reveals a critical role for the active-site, conserved arginine residues. Conformational changes of glucose/galactose-binding protein illuminated by open, unliganded, and ultra-high-resolution ligand-bound structures. 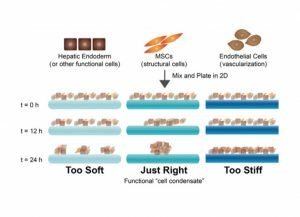 Defined substrates for human embryonic stem cell growth identified from surface arrays. A higher degree of difficulty. 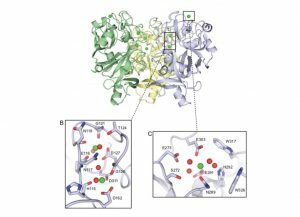 Activating B cell signaling with defined multivalent ligands. Link between chemotactic response to Ni2+ and its adsorption onto the Escherichia coli cell surface, Environ. Chem. Eng. News 79, 246. Nilsson, B. L., Kiessling, L. L, and Raines, R. T. (2000). Principles for multivalent ligand design. Tetrahedron Symposium in Print: Bioorg. Chem. 53, 11937-11952.